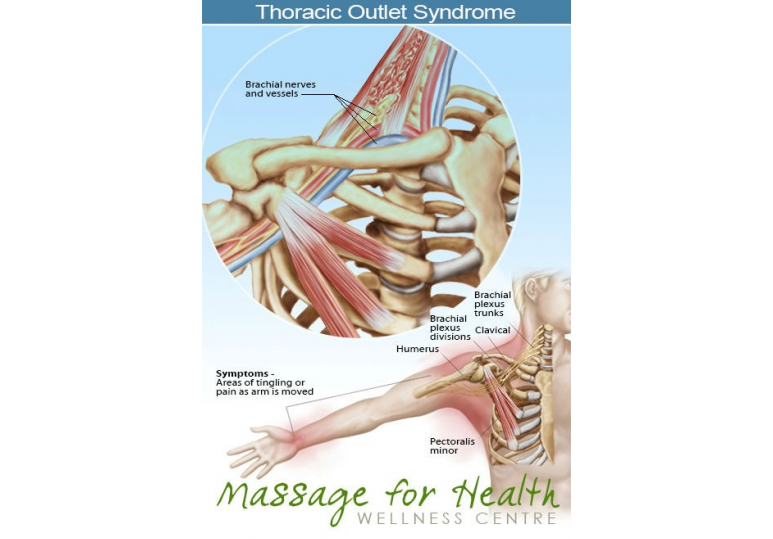 Do you have Thoracic Outlet Syndrome (TOS)? The Massage for Health Clinic has registered massage therapists who can provide you with massage therapy to specifically help with your TOS. The name Thoracic Outlet Syndrome derives from the thoracic outlet between your collarbone and the outside of your front neck muscle. It is a narrow passageway containing the main artery, vein and nerve supply to your arm. TOS occurs when there is an injury, compression/irritation of the nerves and/or blood vessels in the Thoracic Outlet. A registered massage therapist can provide you with specific care that will help relieve your TOS. A massage can focus on techniques to target the discomfort in your chest, neck or shoulders. Trigger points and other specific massage techniques can be given to relieve some referred and localized pain. It has been noted that TOS is sometimes thought to be carpal tunnel syndrome. It is important to have a proper assessment to ensure there is not unnecessary treatment given. Together you and your registered massage therapist can chat about your daily activities, symptoms and treatment. 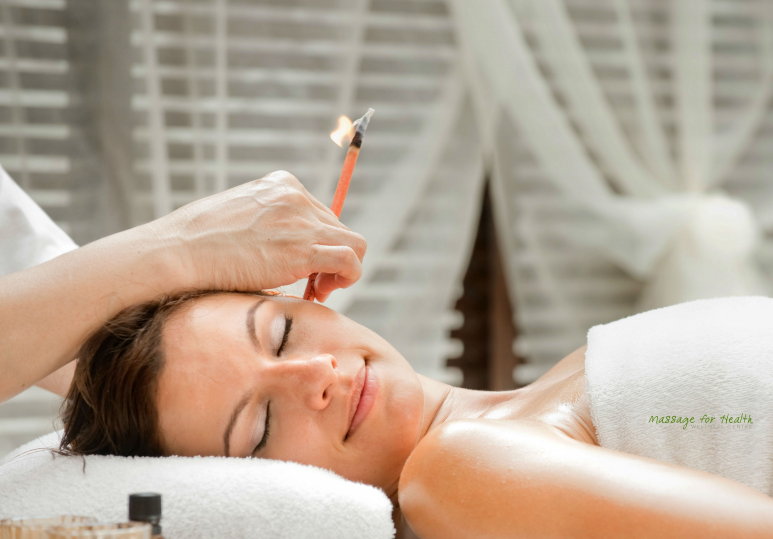 You will be in good, safe hands with a massage specifically delivered to relieve pressure off your nerves and veins that can be causing your symptoms. 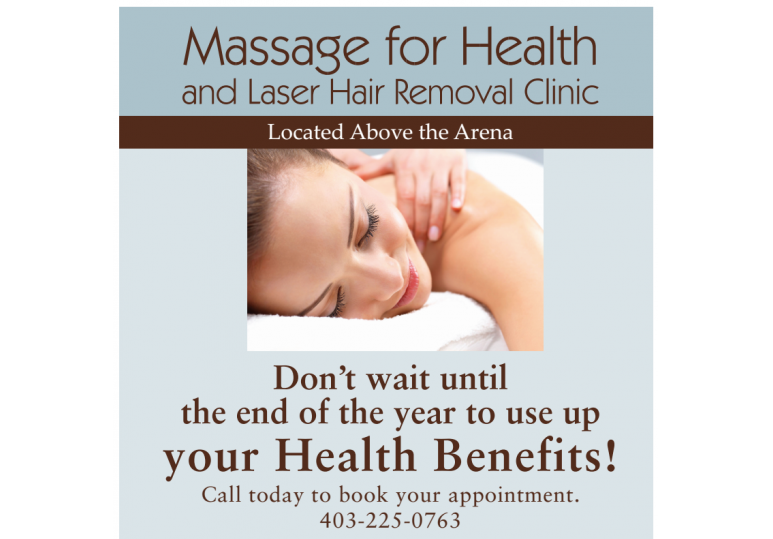 Call the Massage for Health Clinic today @ 403-225-0763 to book an appointment.